In November 2016, I was with two of my girlfriends in KL, Denise Tan and Jane Seb. Like any other girly conversations, we ended up talking about the kind of husband I was looking for. It was a very casual conversation, full of jokes and laughters. I gave Jane my list. She glanced at it and said… “You’ve got to meet Frankie!! This list is Frankie!” Who is Frankie? I was not interested and I did not want to pursue it further. Jane told me about this Singaporean girl I had to meet. All I said was… “another finance person? I’m not interested.” I don’t want to be with another accounting person. In January 2017, at the Kingdomcity Team Advance in KL, we met for the first time and were coerced into saying hi to each other. It was a very awkward situation as Andre Dique (our spiritual father/mentor/boss/friend) tried to get us to talk. There was nothing more than a awkward hi. I found out he was going to be the Kingdomcity KL Business Manager, so perhaps we would need to have some form of communication throughout the year. After all, I was taking care of Kingdomcity Singapore’s finances then. 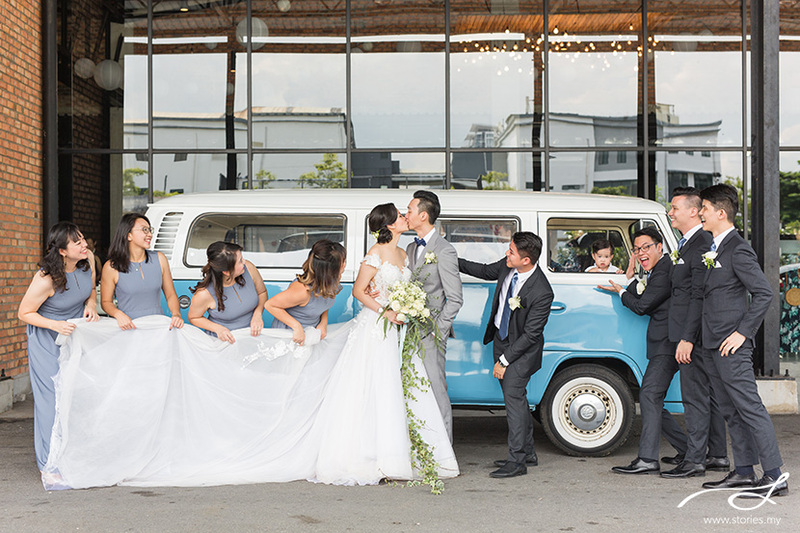 On the day of Jonathan and Lyn Yen’s wedding, family and friends gathered in Seremban… all ready to dance right into Lyn’s family home and pick her up for church. Jonathan’s heng tai entourage consisted mostly of his female friends, and they were totally into the role… with their matching #sokhooyetsowong t-shirts, cool sunglasses and tough attitude. 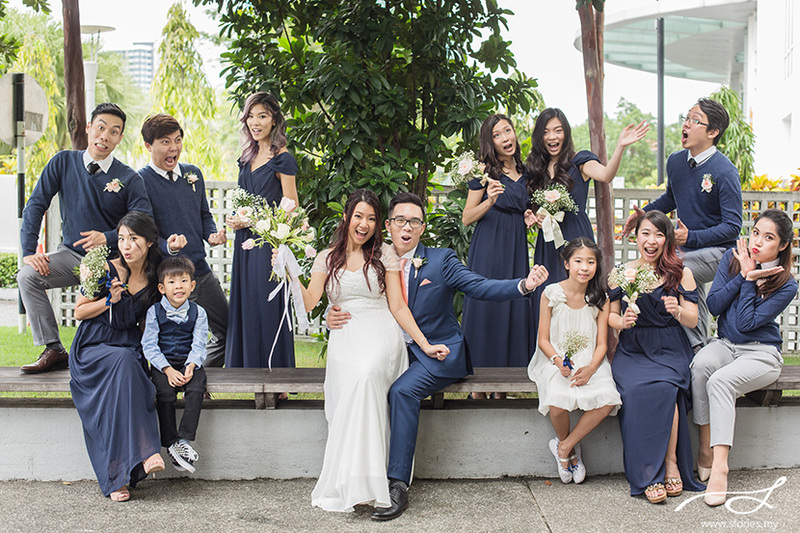 On the other hand, Lyn’s bridesmaids were in beautiful two toned blue dresses. Lyn’s gorgeous wedding gown was designed by one of our previous brides, Katrina who was totally emotional seeing Lyn in it! There were a lot of interesting ‘drama’ happening on this wedding day… from Jon innocently leaving the bridal bouquet in the freezer before the wedding day, to discovering a broken button on his tux, to someone accidentally taking one of the groomsmen’s shoes leaving him stranded just before church…thank God there were solutions to everything! 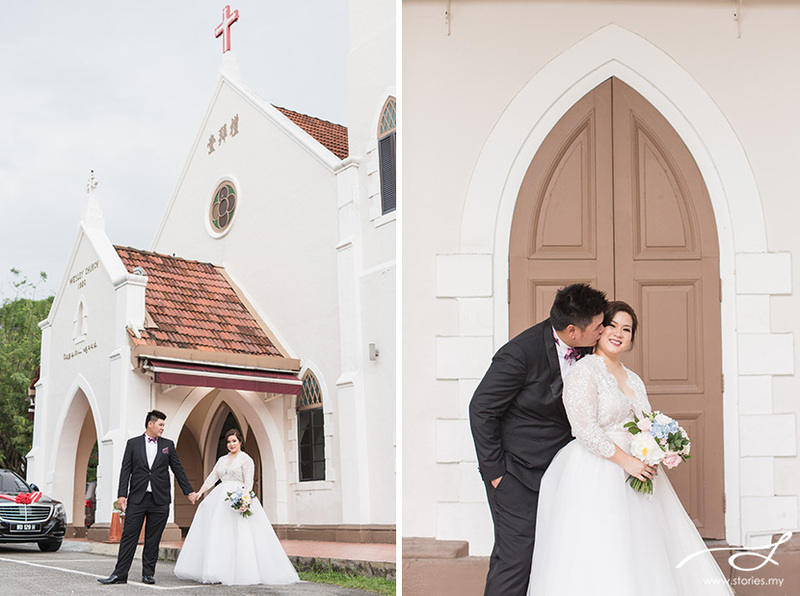 We had a great time in Seremban that day, and then also 2 weeks later in Sofitel, KL for the 2nd half of their wedding. 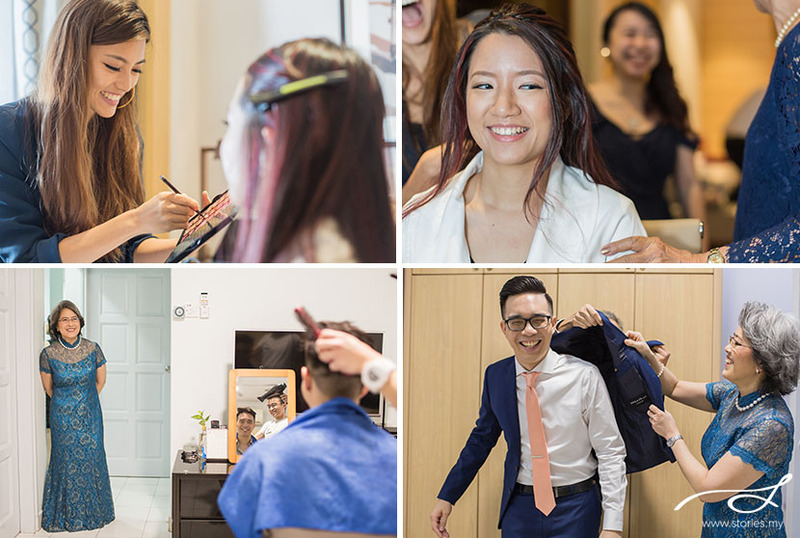 If you would like to read more of their story and view their pre-wedding photos, please click here. 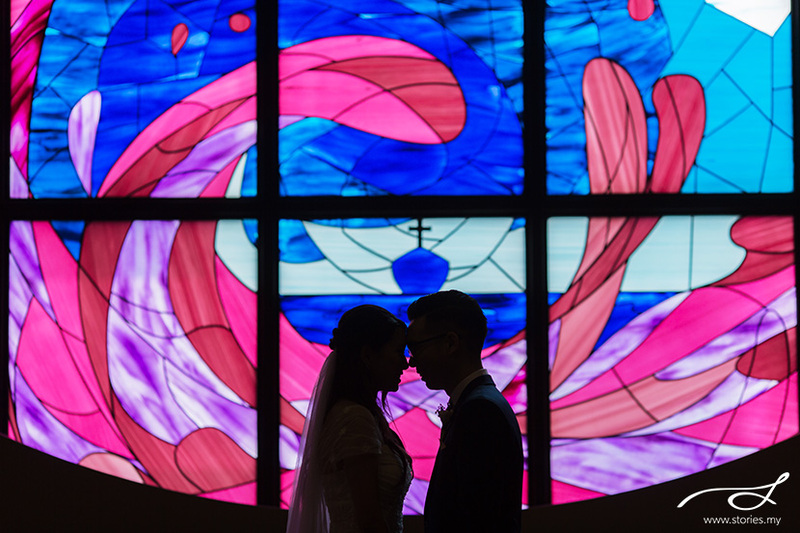 This was our first wedding for 2018, shot on the 1st of Jan! We were glad to have met Kingston and Delia, both very personable and friendly towards us as a team. 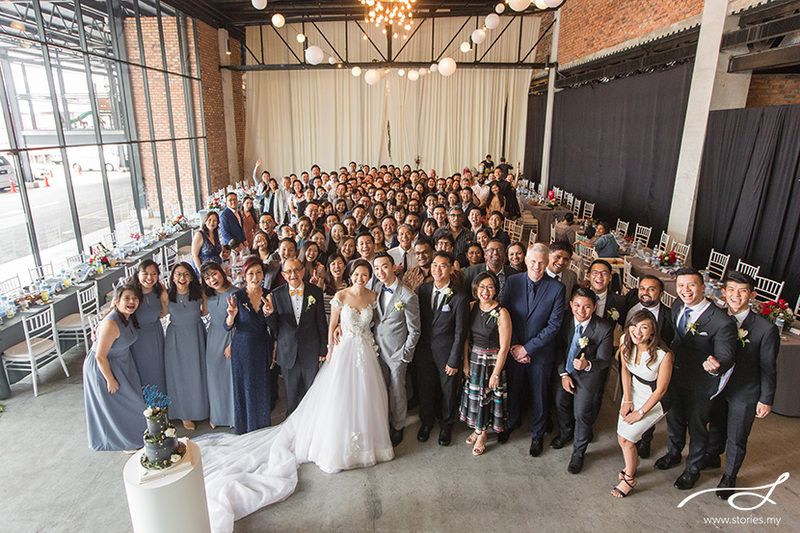 The both of them live in Melbourne but came back to Malaysia for their wedding. We filmed their Chinese tea ceremony and banquet at the Sunway Resort Hotel & Spa. The games were pretty hilarious, with lots of great moves from the guys! Delia: Kingston and I met in high school but it wasn’t until the last 2 years of high school that we finally got to know each other. This was probably because our paths finally crossed when he was appointed a prefect in the last 2 years. It was at a prefect’s camp at the beginning of the year that we started talking to each other as we were put in the same group. I remember thinking what a nice and funny person he was, always joking and making me laugh. Conversations were pretty superficial at that stage, but the unusual thing about it was the way he made me smile all the time and made me feel exceptionally comfortable around him. One day after camp, we were both put on prefect duty at the back of our school canteen. I remember that being the first time we got to talk to each other- just the 2 of us. I felt as if we had known each other for years. I think I told him my life story that day! Clearly we were not very good prefects.. we weren’t even paying attention to our duties the whole time! Since then, we would talk almost every single day. Kingston: We became best friends. We would hang out every morning on roll call, see each other on breaks and the funny thing is, I always know that she’s looking at me when we happened to be nearby on our prefect duties. She laughs at most of my jokes (which doesn’t happen with a lot of people) and I always (and still do) get that warm fuzzy feeling when we are together. Delia: Towards the end of college, it was time to decide what we wanted to study in University and where. Many of our friends had either already gone or were preparing to go overseas to complete tertiary studies. This was the time when I started to think about my future seriously and who the most important people in my life were. It was during this time in 2006 when I realised just how much I cannot imagine not having Kingston in my life. It really put things in perspective for me and I guess Kingston felt the same way too. So August 1st 2006, that’s when we decided to take our relationship further. It was also the time I started Medical School in IMU and Kingston started studying Chemical Engineering at Monash. We spent the first 2 and half years together in this relationship and it was bliss. Beginning 2009, Kingston moved to Melbourne to continue his studies there and our long-distance relationship began. It was one of the hardest things I’ve had to go through and 6 months later, I then moved to Southampton, UK to continue my medical degree. The hardest part about being apart was, to me, meeting him once a year for no longer than 2 weeks and having to count down the days before we had to part again. Kingston: Spending time together in that short stint was amazing. We appreciated every single ticking second in each other’s company and we would go on dates like how we used to when we were younger. Of course beautiful moments like those were never enough- and the reality of the situation would always set in towards the end of our holidays together. The hardest part is having to say goodbye every single time, and knowing that by sunrise the next day one of us would be leaving for another full year. These were extremely difficult moments for us, but we both know that they made us stronger individually. Although this phase of the relationship is the most difficult and challenging one, it made us grew not only as a person, but together as a couple. Finally, Delia completed her stint in the UK in 2014 and made her move to Melbourne. I still remember waiting for her at the airport, full of excitement and happiness, knowing that we won’t have to endure the hardships of long distance relationship anymore. Fast forward to today, it still amazes me that we are still together in this 10+ years of relationship and have persisted so much in life. I always knew that I wanted to marry Delia and with us finally being together, I decided to propose at the end of 2016. Delia: I waited for a long time! It was an amazing, romantic and well-planned proposal with the help of all our family and our friends. Kingston decided to put me on a treasure hunt for a whole day. My two best friends and one of his best friends drove me all around KL to pick up clues to the next stop from his friends who were all stationed at our most memorable ‘spots’ in the last 10 years. It was very nostalgic for me going back to these spots where memories were created and that meant so much to us like our high school, our favourite place to eat, my old house before my parents moved away… I was in tears most of the time. We ended up in Tamarind Springs where we spent our first 3 years celebrating our anniversaries, and he finally got down on one knee in front of our family and friends. That was truly one of the best days of my life. I am always really honored whenever a couple decides to fly my team and I to another country to photograph their wedding. It really is a big deal, because it meant that they chose you over every other vendor they found in that city. 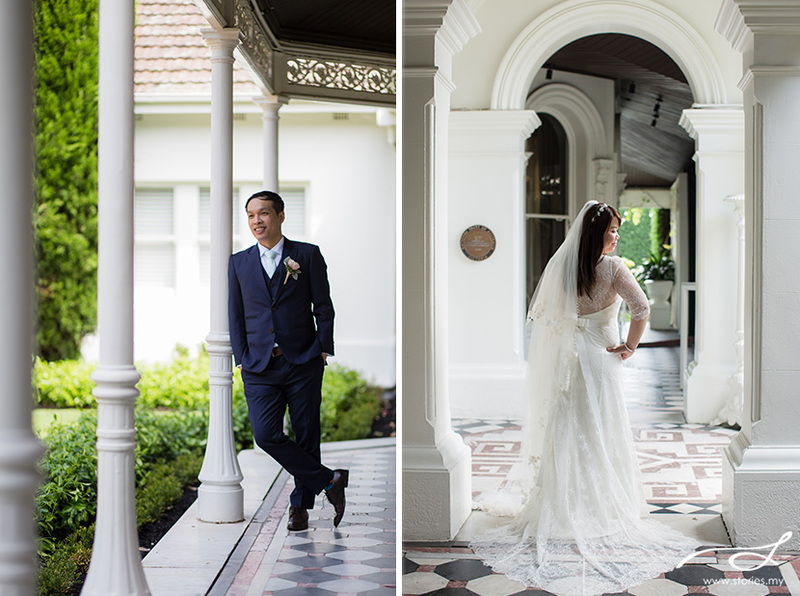 I was also really excited when I found out their wedding location – a beautiful Victorian mansion named Quat Quatta. I love the classic interior and exteriors! What was special about this wedding were all the loving, detailed planning that Benny and Esther did for their wedding. 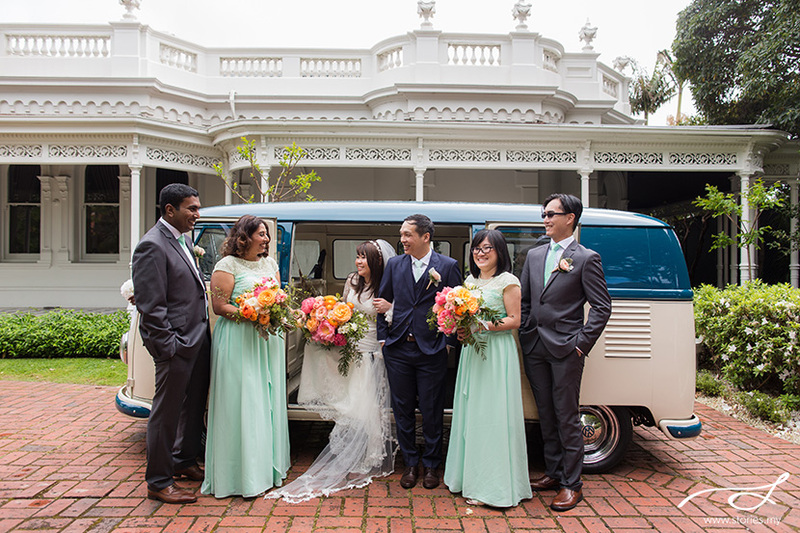 I love the turquoise colour theme, the Volkswagen Kombi that was so chic, and also how they incorporated their love of coffee into the wedding with a coffee mixing ceremony! 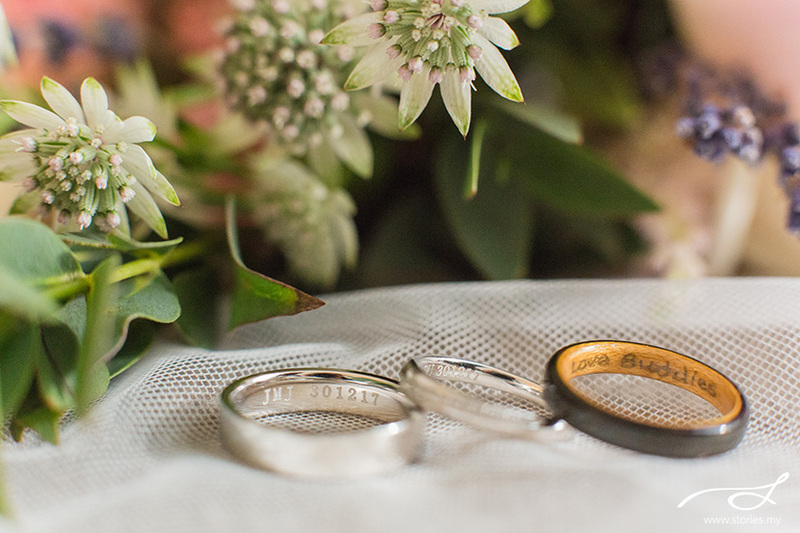 Even their wedding ring ‘pillow’ was a unique book! The dinner decorations at the Sandringham Yacht Club were beautiful with the huge arch above the main table (it had mandarin oranges in it!). We were also blown away at the delicious looking wedding cakes, not one, but three! Thank you, Benny and Esther, for bringing us all the way to Melbourne, Australia. Wishing you years of marriage bliss and may the honeymoon continue years and years from now!